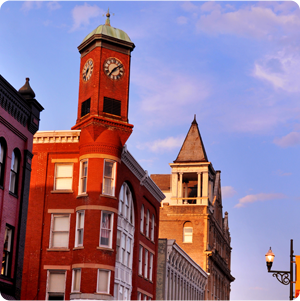 Staunton has plenty of trendy restaurants, local wine, luxurious lodgings, and unique shopping and entertainment opportunities. That’s why it’s the ideal environment for making new memories during a wonderful girlfriends’ getaway. You and your besties will want to make it an annual trip. Here’s a fun roundup of must-do activities. 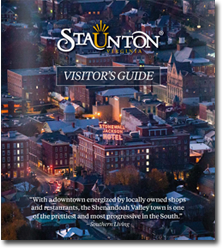 When you arrive, head straight for Staunton’s extremely walkable downtown. The Staunton Farmer’s Market opens on the first Saturday in April, and often features live music. Nibble a baked treat and scout out seasonal produce, honey, jams and pickles to take home. Next, explore Staunton’s five historic districts, visit the Woodrow Wilson Birthplace, or take a tour of the American Shakespeare Center. Stop in at Paris Cake Company for something sweet. And if cupcakes are your particular passion, you can’t skip the giant cupcakes and egg-less raw cookie dough at Sweet Nana Cakes. Staunton has a lot to offer girlfriends who enjoy shopping together. Plan to spend some time exploring our boutiques, galleries, and antique stores. Design at Nine offers the latest in women’s fashion, shoes, and accessories. Try Latitudes for fair trade selections ranging from women’s apparel, to jewelry to recycled metal wall art. If you’re looking for more art to buy, check out Beverly Street Studio, where local artists exhibit and sell their work. You might also be captivated by the spectacular glass work at Sunspots. Recharge your mind and body with a class at Sanctuary Yoga and Wellness.The studio welcomes walk-ins and offers classes in a variety of styles, including vinyasa, hatha, and yin. See here for a schedule. If you’re serious about relaxing, why not share a spa day with your girlfriends? Indulge yourself at Breezy Hill Day Spa, housed in a historic mansion or Mill Street Body and Soul Day Spa and Salon, which is right downtown. Both spas’ services include massage, facials, manicures, and pedicures. Breezy Hill offers an all-day session that includes lunch. Take a scenic drive to Fishersville and ramble around the Andre Viette Farm. Viette is world famous for his daylilies, and the farm and garden center is open year round. Get inspired by the beautiful gardens and take some plants home to your own. If fresh flowers are your thing, explore the Pebble Hall Wildflowers. Pick a bouquet of whatever’s in bloom, pet the horses, and plan a picnic to appreciate the view. If you’re outside for something more rigorous, remember that you’re in some of the best hiking country in the world. For some ideas, see An Alternate Spring Break: 5 Awesome Hikes. You might also rent a kayak or stand-up paddleboard from Rockfish Gap Outfitters in Waynesboro for a fun-filled day of paddling on the South River or Lake Sherando. Still wishing there were one more season of Downton Abbey? Drown your sorrows in tea at the Anne Hathaway Cottage Tea Room. Enjoy traditional High Tea, light lunches and afternoon cream teas in a picturesque thatched cottage surrounded by gardens. You can even sample all the teas thrown into the harbor during the Boston Tea Party! If you’re still thirsty, head to Ox Eye Tasting Room to taste a variety of their wines. Follow your tasting with a full glass of your favorite. Or go to Yelping Dog Wine, where wine can be enjoyed by the glass or by the bottle, and you can munch on a cheese plate or gourmet grilled cheese sandwich. If you prefer a vineyard with a view, take a picnic to Barren Ridge Vineyards, only a short drive east of Staunton. 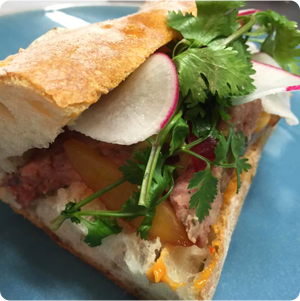 Staunton boasts a rich restaurant scene with much to choose from, but if you’re looking for fare to share with your girlfriends, try a range of Spanish tapas and other Mediterranean food at Aioli Restaurant. If pizza and beer are more up your alley, split a gourmet pie at Shenandoah Pizza and Tap House. And if you still have room for more food, get some scoops of homemade gelato at The Split Banana. Here, a number of flavors, both traditional and exotic will tempt your taste buds. Guinness Extra Stout in a waffle cone, anyone? Many of Staunton’s watering holes host events on different nights of the week. Fun stuff includes trivia, live music, and karaoke. Check out the Staunton on Tap and the Shenandoah Beerwerks Trail events page for more info. Downtown 27 is Staunton’s own dance club. Downtown 27 offers live music, DJ dance parties, and other exciting entertainment. And if active puzzle games are your style, book a Staunton’s Crack the Code Escape Room. Groups of six or fewer use their wits to puzzle out clues and escape the room in under an hour. A trip to Staunton isn’t complete without some Shakespeare at the American Shakespeare Center. You can catch a performance almost every night year-round, and you can even sit on stage to get very close to the actors. If you’re lucky, they might use you as a prop! 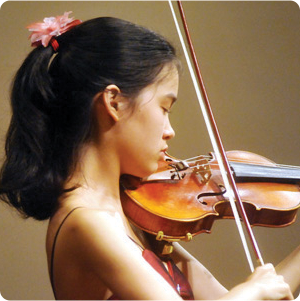 Check out what’s on stage at Shenanarts, where you’ll see ambitious and energetic performances by local talent almost every weekend. For a list of Staunton restaurants known for brunch, see our post: Staunton’s Brunch Bunch. 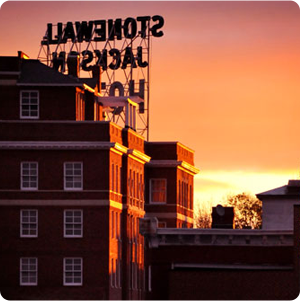 If you’re planning to stay in Staunton overnight, here are some quirky and fun places to stay or click here for our bed and breakfast picks.